The province’s new museum brings ancient mysteries back to life. Opened in late 2018, the Xieng Khouang Provincial Museum has already been described as ‘one of the best in Southeast Asia’. After a good look around, it’s easy to see why; the place is full of stories, artifacts, exhibits, displays, and short movies that will keep you captivated and intrigued. Yes, this place tells the history of Xieng Khouang – a tale of almost incessant wars, the former seat of the Phuan Kingdom, of peaceful and not so peaceful migration with China, Vietnam and Thailand, with trade routes crisscrossing the plateau that continue today, and mysteries such as the megalithic Plain of Jars – nominated for inscription on the UNESCO World Heritage List. Located just a short tuk-tuk ride from Phonsavan’s town centre, it takes up two floors of an impressive Lao style building, carefully renovated to house the new exhibitions and displays. The museum’s aim is to become a cultural hub – a beating heart – where locals, school kids, tourists, and international archaeologists can immerse themselves in the history and stories of Xieng Khouang, which, up until now, were not easily accessible. Upon visiting the museum you’ll be greeted by friendly, helpful staff at reception who can show you how best to enjoy your visit. 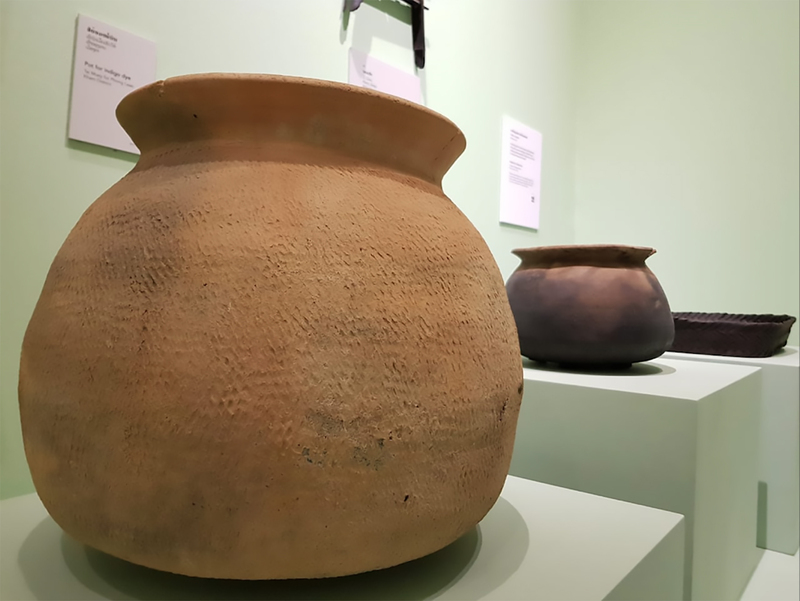 Take a wander around the first-floor displays on Xieng Khouang‘s prehistory, including the mysterious Plain of Jars, and the magnificent Phuan Kingdom that once ruled the plateau. You can’t help but be impressed by what you’ll find on the second floor. Here you’ll find one of the most insightful and concise exhibits on the Indochina Wars. 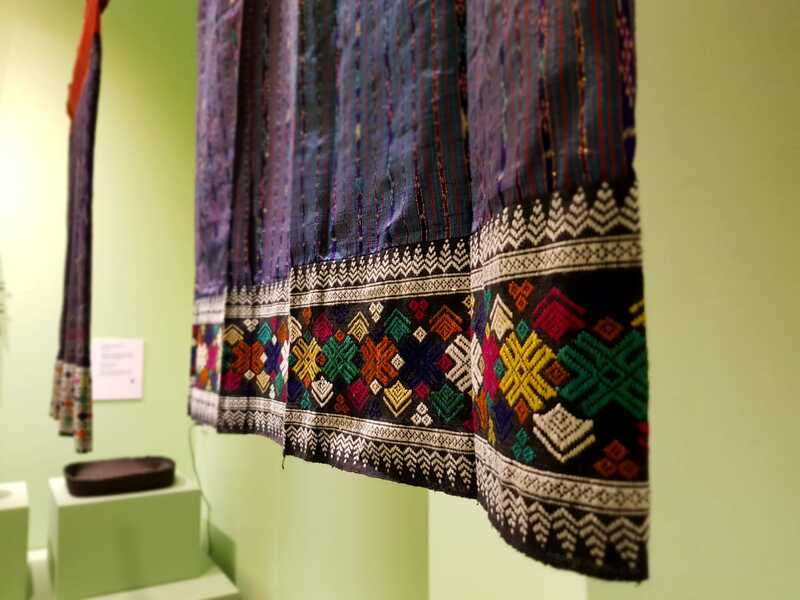 There are also beautifully displayed fabric, clothing, musical instruments and artifacts belonging to the six main ethnic groups in Xieng Khouang. The struggle for an independent Laos is carefully and accurately portrayed. Four short movies play continuously in a purpose-built film room covering topics from cultural diversity and provincial attractions through to moving accounts of the Indochina Wars. The facilities are ideal for a wide variety of visitors. There’s a souvenir shop, teaching and meeting room, laboratory for curatorial work and research on objects or artifacts. The Xieng Khouang Provincial Museum is great for visitors wanting to dip into a bit of Lao heritage, or those wanting to dive deeper into local history. Ideal for tour groups, school groups, locals and researchers, this place can proudly stand as one of the best cultural attractions in Laos. overland drive from Luang Prabang.